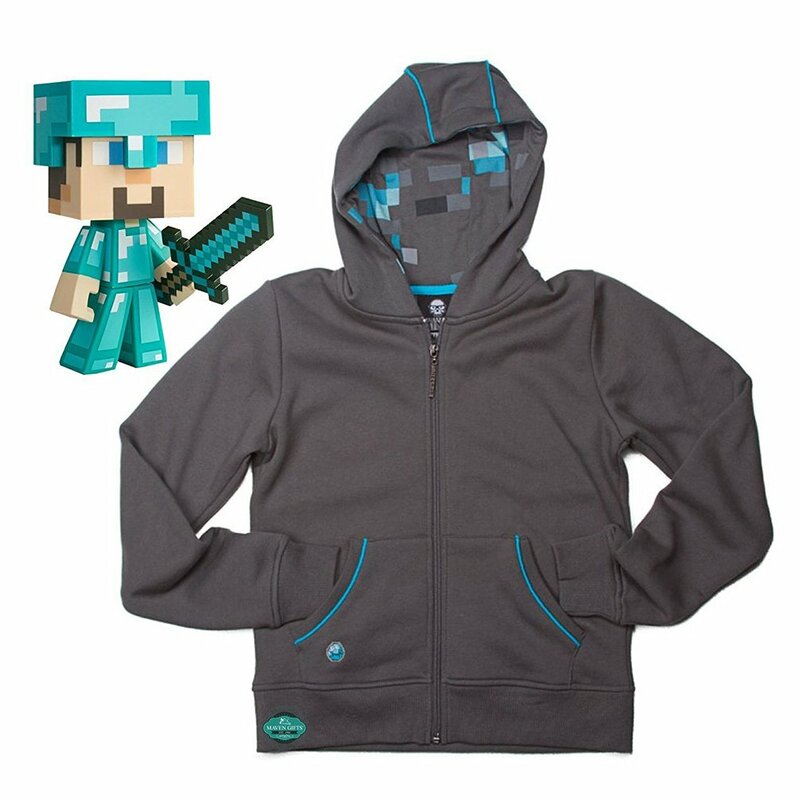 Home › Maven Gifts: Minecraft Diamond Steve Vinyl 6" Diamond Edition Figure & Diamon..
About Minecraft Minecraft is a game about breaking and placing blocks. Atfirst, people built structures to protect against nocturnal monsters, but asthe game grew players worked together to create wonderful, imaginative things.It can also be about adventuring with friends or watching the sun rise over ablocky ocean. It's pretty. Brave players battle terrible things in The Nether,which is more scary than pretty. You can also visit a land of mushrooms if itsounds more like your cup of tea. About JINX JINX provides their customerswith a full range of clothing and accessories inspired by video game and geekculture. They offer something for every geek and gamer to love, from Minecraftto Doctor Who. All of their products are produced with top quality standardsand brilliant designs. About Maven Gifts Maven Gifts is a brand rooted in overthirty years of experience in retail shopping behavior and consumer trends. Weexamine the marketplace in order to hand-select product combinations based onalready popular items, then market those product combinations via multipleonline sales channels, adding convenience and value to the consumerexperience.